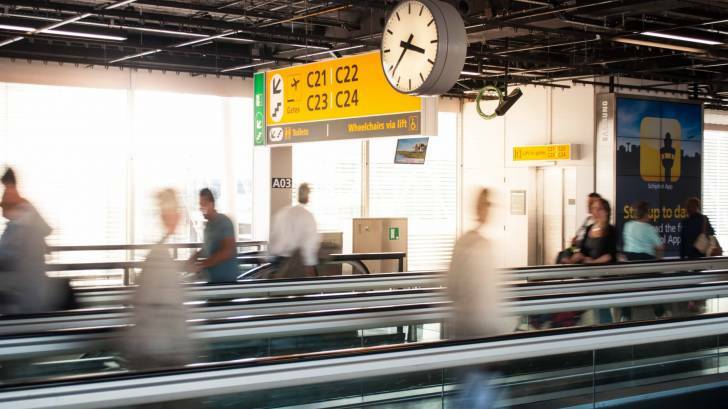 Prior to boarding your next international flight, the Centers for Disease Control and Prevention (CDC) is now recommending Hepatitis A and measles vaccinations to most travelers pre-departure checklist. This is important news since Hepatitis A is among the most common vaccine-preventable infections acquired during international travel, says the CDC. “Hepatitis A and measles have no cure but both can be prevented with vaccinations. Vaccine recommendations are constantly evolving,” said Michelle Beall, Pharm.D. Clinical Pharmacist Brookshire Grocery Company. “This includes travel vaccines too. It’s a great idea to ask your doctor or pharmacist which vaccines are recommended for you whether or not you plan to travel internationally," continued Beall. On November 2, 2018, the CDC’s Advisory Committee on Immunization Practices (ACIP) conducted a systematic review of the evidence for administering vaccines before international travel. But, IG cannot be administered simultaneously with MMR. Administering a Hepatitis A vaccine for PEP provides advantages over IG, including induction of active immunity, longer duration of protection, ease of administration, and greater acceptability and availability. In addition to Hepatitis A vaccination, IG should be considered before travel for persons with special risk factors for either HAV infection, or increased risk for complications in the event of an exposure to HAV, said the CDC. The Hepatitis A virus is a non-enveloped RNA virus classified as a picornavirus. HAV is transmitted through various means, such as direct person-to-person contact, contaminated water, ice, or shellfish harvested from sewage-contaminated water, or from other containing foods. People are most infectious 1–2 weeks before the onset of HAV clinical signs and symptoms. And, infants and children can shed virus for up to 6 months after HAV infection. Hepatitis A rates in the United States have declined by more than 95 percent since the vaccine first became available in 1995. But, 2018 has seen a significant reversal of this positive trend. Currently, the states of Arkansas, California, Indiana, Illinois, Kentucky, Florida, Michigan, Missouri, North Carolina, Ohio, Tennessee, Utah, and West Virginia are reporting widespread hepatitis A outbreaks. Additionally, Immune globulin can provide short-term protection against hepatitis A, both pre- and post-exposure. Immune globulin must be administered within 2 weeks after exposure for maximum protection. Additional Guidance is available here. Healthy persons aged 12 months–40 years who are planning travel to an area with high or intermediate HAV endemicity and have not received HepA vaccine should receive a single dose of HepA vaccine as soon as travel is considered and should complete the 2-does series according to the routine schedule. The CDC is suggesting all international travelers speak with their vaccine provider regarding measles immunization. This is in response to the ongoing measles outbreaks in various countries. Most pharmacies in the USA offer MMR and hepatitis vaccines. To request a vaccination appointment, please visit this page. The CDC Vaccine Price List displays current vaccine contract prices and general information. And, vaccine discounts can be found here.